Gary Norman Masterson, 71, of Paragould passed away Sunday at his residence. 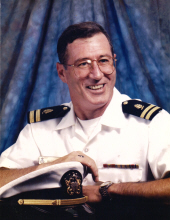 He was born in Jonesboro, was a retired radiology technician and a veteran of the United States Navy. He was preceded in death by his parents, Norman and Hazel Pearce Masterson. Gary was a 1965 graduate of Greene County Tech and a 1982 graduate of Christian Brothers College where he obtained his B.S. in Health Care Administration. He retired from the Methodist Hospital of Memphis where he held positions such as Chief Technician of the Radiology Department and Clinical Coordinator of Methodist's School of Radiology. In the past, he also served as the President of the TN Society of Radiologic Technicians and President of the Association of Educators in Radiological Sciences. Most recently, he retired from the Memphis Orthopedic Group. Gary also served as Lieutenant Commander in a Fleet Hospital Unit of the US Naval Reserve. He was a member of the VFW Post 684 in Memphis, TN. He is survived by sisters, Charlotte (Jerry) Seats of Jonesboro and Judy Masterson of Paragould; nephew, Corey Seats of Jonesboro; nieces, Kristi Ballard of Jonesboro and Melissa Gander of Paragould; two great nieces and six great nephews and many close friends that will miss him dearly. A memorial service will be Thursday April 4 at 6 pm at Heath Funeral Home. Burial will be private. To send flowers or a remembrance gift to the family of Gary Norman Masterson, please visit our Tribute Store. "Email Address" would like to share the life celebration of Gary Norman Masterson. Click on the "link" to go to share a favorite memory or leave a condolence message for the family.